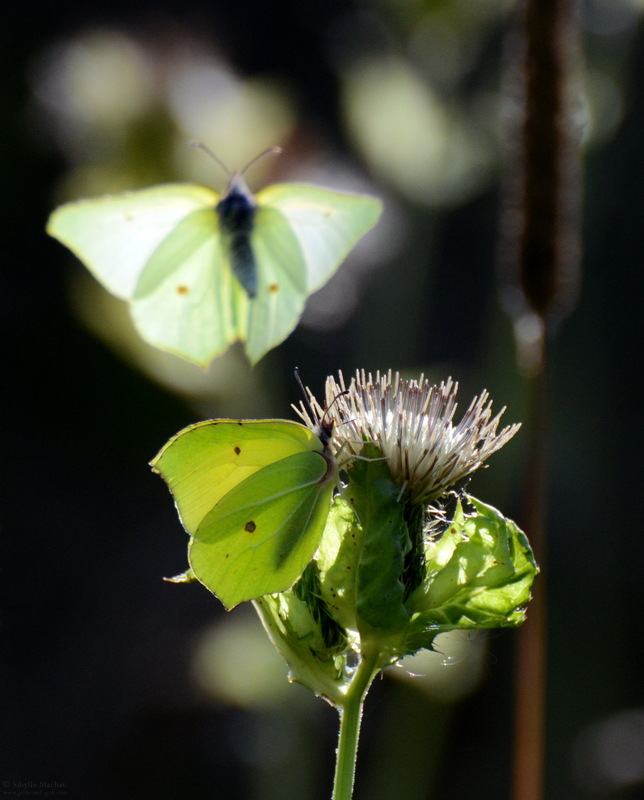 This pair of Gonepteryx rhamni / Zitronenfalter / common brimstone are my entry for “almost missed it” in my “challenge me to take a photograph of some concept or …” challenge. If you want to participate, you can challenge me here! This entry was posted on Thursday, September 26th, 2013 at 22:06	and is filed under my photography, photos: challenge replies. You can follow any responses to this entry through the RSS 2.0 feed. You can leave a response, or trackback from your own site.